We at the CSCCa National Office want to wish each of you a happy, productive & prosperous New Year! May 2019 be your best year yet. We have many important projects that will be completed in 2019, the first of which is the development of a new CSCCa Website! Many of you may have already discovered it. If not, we encourage you to check out the new design which is more user-friendly and is compatible with your mobile devices. 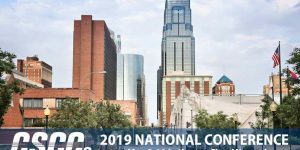 As a reminder, the 2019 CSCCa National Conference will be held Wednesday, May 8, through Friday, May 10, 2019, in Kansas City, Missouri, at the Kansas City Convention Center. We have great speakers and activities planned, so you will not want to miss this exciting event! Click here to review the newly released 2019 CSCCa National Conference Itinerary. As a reminder, we strongly encourage you to plan to stay through the conference sessions which end at 1:30 p.m. on Friday as we have an outstanding speaker line-up on Friday, and you will not want to miss these great presentations which include a variety of formats: Panels, roundtables, hands-on presentations, etc. Please remember that attending the National Conference each year is the most effective and time efficient way to fulfill annual CEU requirements for maintaining the SCCC Certification. As a reminder this is the final year of the current CEU Cycle. 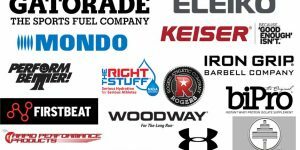 Attending the 2019 CSCCa National Conference will provide you with 15 CEUs and attending the Gatorade Pre-Con from 2:00-5:00pm on Wednesday, May 8th, will provide you with an additional 3.0 CSCCa CEUs. The Exhibitor/Member Coaches Opening Social will kick-off at 6:00 pm Wednesday evening in the exhibit hall. Please schedule your arrival to allow you to be in attendance, if at all possible. You won’t want to miss this exciting event, which includes food, beverages, and prizes! Mark your calendars! Join us on Wednesday, May 8, from 2 p.m. to 5 p.m. for a free Gatorade-sponsored Pre-Conference Symposium. More information coming soon! 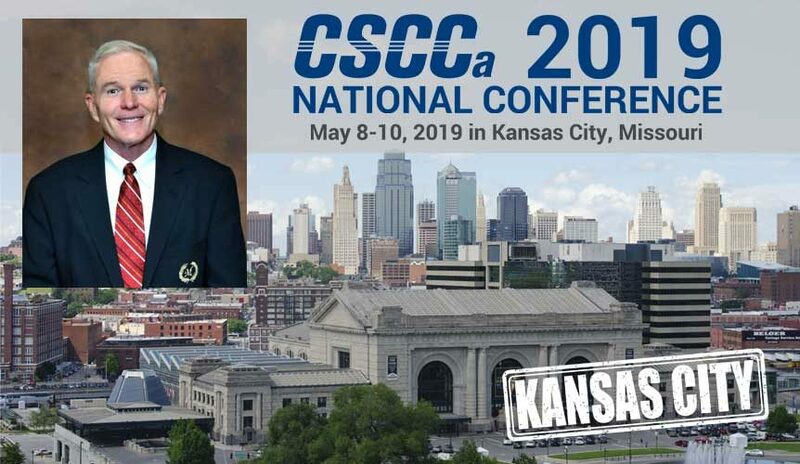 Room reservations can be made at the official conference hotel, the Kansas City Marriott Downtown, over the phone by calling 888-236-2427, or online through the CSCCa website. If you prefer to make your hotel reservation over the phone rather than through the link provided, please be sure to mention that you are with the CSCCa National Conference to receive the discounted rate. Please keep in mind that although the cut-off date is Sunday, April 21, 2019, and we have only been guaranteed this rate for a limited number of rooms. Please make sure your reservations are made well in advance of this date to take advantage of this special rate. It is extremely important that each member of the CSCCa plan to attend this exciting conference and, if at all possible, stay at an official conference hotel to avoid additional fees and expenses for the CSCCa. WARNING: Please be aware of “room poachers”—third-party organizations that fraudulently pose as affiliates of organizations hosting conferences and other events. Their method of operation is to trick conference attendees into reserving rooms through them instead of through the official methods offered by the host organization. These groups often offer nonexistent rooms or false pricing. Please only make room reservations for the conference by calling the hotels directly or through the official links on the CSCCa website as described above. If you have any questions or concerns about this, please contact the CSCCa National Office at 801-375-9400. You are encouraged to register online, or please complete and fax, email, or mail the national conference registration form to the CSCCa National Office. Payments can be made by credit card online or over the phone, or by mailing in a check to the National Office at P.O. Box 7100 University Station, Provo, UT 84602. We also accept college/university purchase orders. If you haven’t already renewed your membership and would like to do so, you can renew online or over the phone by credit card, or a check can be sent into the CSCCa National Office. Membership renewal forms can be submitted electronically, or printed and submitted through email, fax, or mail. Membership forms are found on the CSCCa website under “Membership.” CSCCa membership is no longer required for National Conference attendance, but please be aware that CSCCa members receive discounted pricing for Annual National Conference registration. There are several food and beverage events that are included with the national conference fee. We encourage all members to be in attendance at these events. There are also two breakfasts for specific member groups of the CSCCa: the MSCC Breakfast & Meeting and the Female Strength and Conditioning Coaches Breakfast & Meeting. It is necessary to provide the caterers with accurate numbers for each of these events prior to the conference so they can adequately prepare. Please keep in mind that the CSCCa is financially responsible for the number of attendees that we provide the caterers – whether or not that number is actually in attendance at the event. An RSVP section is included on the conference registration form to help us determine our numbers. Please indicate whether or not you will be in attendance at each of the applicable events, and please be in attendance if you indicate you will do so.